In winter, enjoy superb downhill and cross-country skiing, snowboarding, snowshoeing, and miles of spectacular snowmobile trails. Stay at a cozy country inn or bed and breakfast, where you can warm your toes in front of a roaring fire. Come in spring for whitewater rafting and kayaking on Maine’s big rivers. Take to the trails at Baxter State Park or Acadia, or any one of hundreds of other great hikes, as the bright new leaves mingle with the deep greens of Maine’s pine and spruce. Looking for inspiration, professional guidance and priceless information about Maine? When you use our vacation planner it helps us match you with our Virtuoso Travel Advisor that is the best match for you. We’ll listen to your dreams, then tailor valuable solutions and exciting vacation options that suit you perfectly. You’ll have fun and truly enjoy planning your Maine vacation with us. Summer means sailing, canoeing, kayaking, and hiking. It’s the time for beaches, islands, lakes, loons, puffins, whales, windjammers, blueberries, lobsters?with festivals to celebrate almost all of them. You can rough it at a wilderness camp or be pampered at a luxurious seaside inn, or choose your favorite accommodations anywhere in between. And then it’s autumn. Crisp air, crunchy apples, fresh-pressed cider, and spectacular foliage. Browse our antique shops, enjoy our harvest fairs, or simply drive through the countryside while the magnificent colors of the season unfold before your eyes. No matter where-or when-you visit, you’ll receive a warm welcome from those of us who live here. And chances are that you’ll make some new friends on your Maine vacation. That’s just one more reason you’ll want to come back! Centuries ago the explorer Samuel de Champlain named it L’Isle des Monts-deserts, “the island of barren mountains.” From the splendor of these mountains of Acadia to the spectacular beauty of dawn’s first light in Lubec, Down East/Acadia will awe you. Hear the roar of Thunder Hole and the roar of The Cat’s engines, then experience the quiet solitude of West Grand. Feel the joy of spotting a whale offshore or an eagle’s nest in Moosehorn National Wildlife Refuge. From glacial rock formations to quaint towns and seldom explored lakes and woods, Down East/Acadia beckons you. The term “Down East” comes from the days when schooners were used to carry cargo along the coast. The prevailing winds here blow from the southwest, pushing sailing vessels downwind, to the eastward. You’ll discover three beautiful and very different sections of Down East/Acadia. The quiet beauty of Washington County, with hundreds of miles of rugged coastline stretching from the Milbridge area to Passamaquoddy Bay and up to Calais, reflects an era gone by. The eastern part of Washington County is “the road less traveled, “a place to get away from the maddening crowd. Vacationing here is tranquil and relaxing, whether you’re sitting on the porch of a cabin listening to the loons or canoeing the St. Croix River. Fall foliage abounds in its brilliant colors. Cobscook Bay State Park or the Moosehorn National Wildlife Refuge offers trails and vistas where you can see eagles, woodcock, and a variety of flora. A secret to truly discovering Washington County is leaving Route 1. Wander along roads leading to peninsulas and visit Winter Harbor, the Schoodic Peninsula, Steuben, Milbridge and Jonesport. From Jonesport sneak over to Beals Island and Great Waas Island for hiking trails. Historic Machias hosts the annual Maine Blueberry Festival each August. 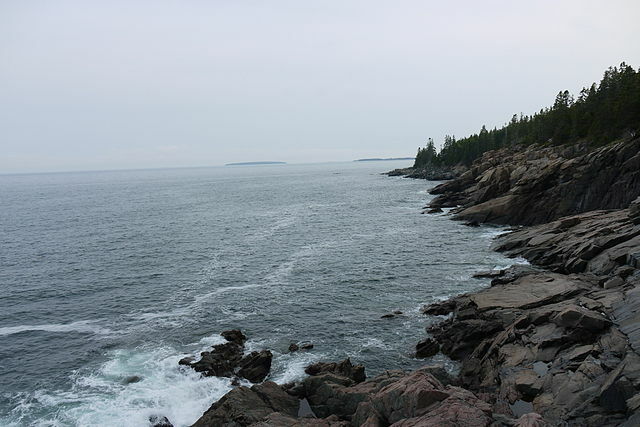 Lubec, the easternmost town in the United States, has a beautiful state park, West Quoddy Head, where a 90-foot cliff overlooks the Bay of Fundy. There’s a new international trade port in Eastport, and the Passamaquoddy Indian Tribe has a museum on Route 190. The highest tides in the continental U.S. can be viewed in the Calais area; an excellent viewing spot is the park and boat landing on Route 1 in Robbinston. Come to the “Sunrise County” and discover the unspoiled beauty of Maine. Mount Desert Island, one of New England’s largest islands, is linked to the mainland and its vistas are indescribable. With seventeen mountains and four lakes, Acadia National Park and Bar Harbor are magnets that draw thousands every year. 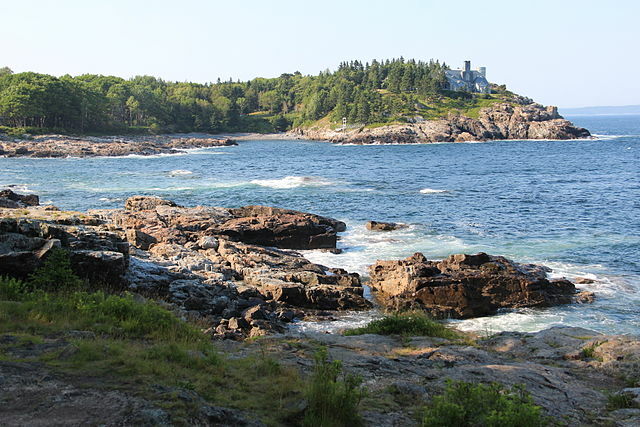 The Park and its 120 miles of hiking trails, colossal views from Cadillac Mountain, and the roar of Thunder Hole provide visitors with memory-filled vacations. Artists flock to photograph or paint the landscape. 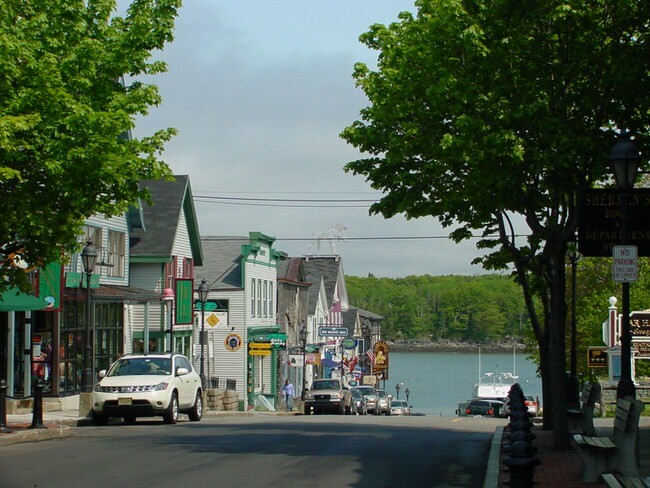 Bar Harbor’s neighbors, Northeast Harbor and Southwest Harbor, attract visitors by land and by water. 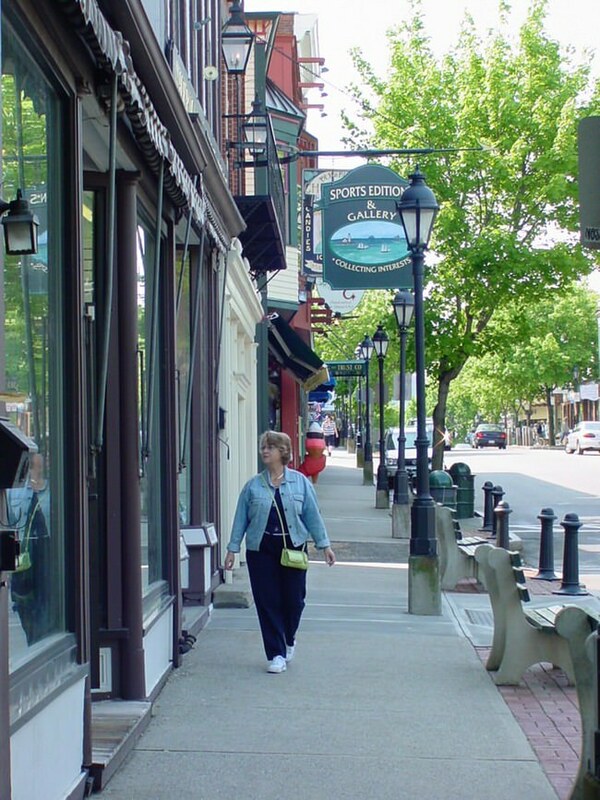 The bustling resort town of Bar Harbor is a treasure of delights for all ages. There are art galleries and museums including the Abbe Museum, where you’ll find native American artifacts. The July and August music festivals will keep you humming. Whale-watching cruises depart daily, and Maine seafood is freshly prepared at many restaurants. The new high speed ferry, The Cat, travels daily to Yarmouth, Nova Scotia and back. 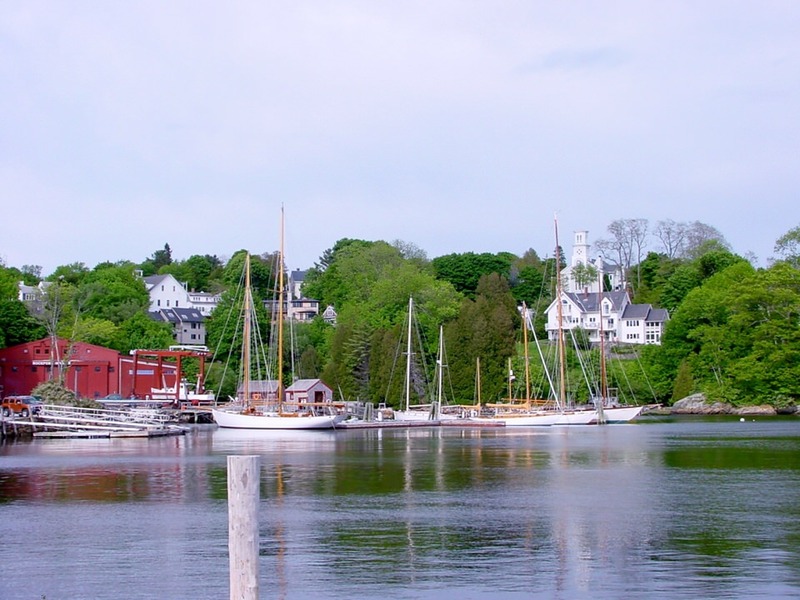 The western side of Mount Desert Island, known as the “quiet side,” offers a slower pace. 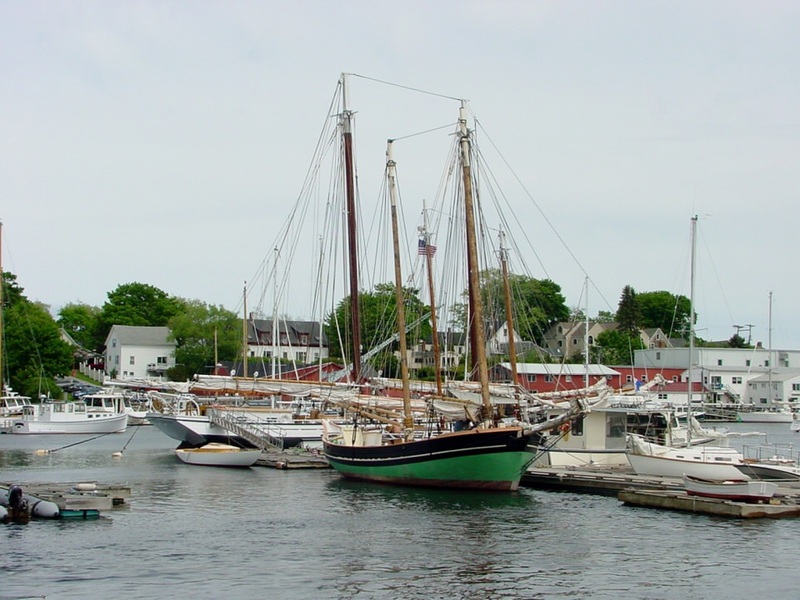 Northeast and Southwest Harbors have ornamental gardens, estates, hundreds of sailing craft, the Wendell Gilley Museum and the Seal Cove Auto Museum, and the annual Oktoberfest. The East Penobscot Bay region, south of Mount Desert Island, is the third piece of this vacation puzzle called Down East/Acadia. 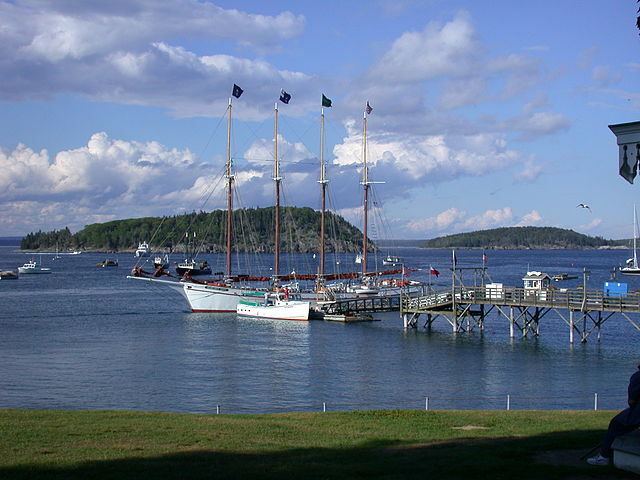 Blue Hill, Brooklin, Castine, Deer Isle and Stonington make up this exceptional grouping of peninsulas and islands. Like fingers, these pieces of Maine land jut into the bay. Each village offers a glimpse of the way life should be. You’ll find quiant B&Bs, scrumptious food, colossal vistas and quiet coves you’ll fall in love with. 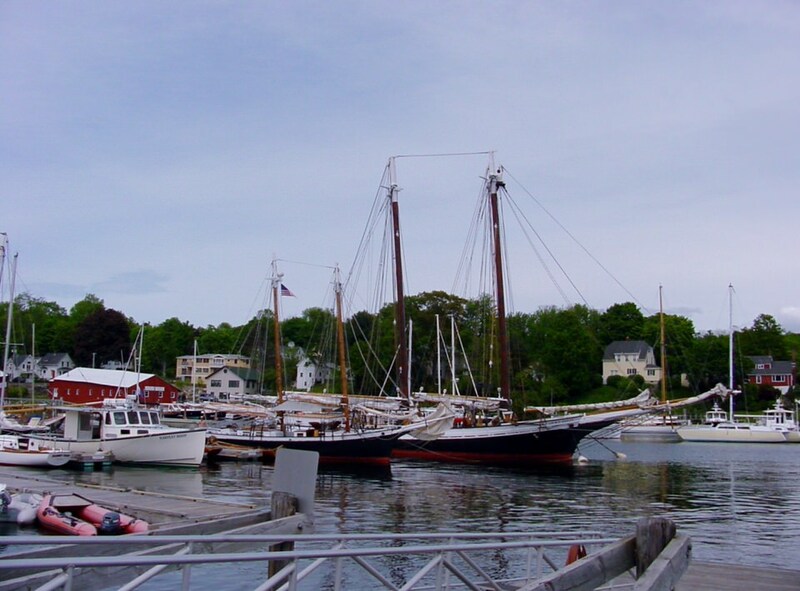 Castine has the Maine Maritime Academy, Blue Hill attracts craftspeople and musicians, nearby Brooklin has the Wooden Boat School, on the island of Deer Isle visit the Haystack Mountain School of Crafts.